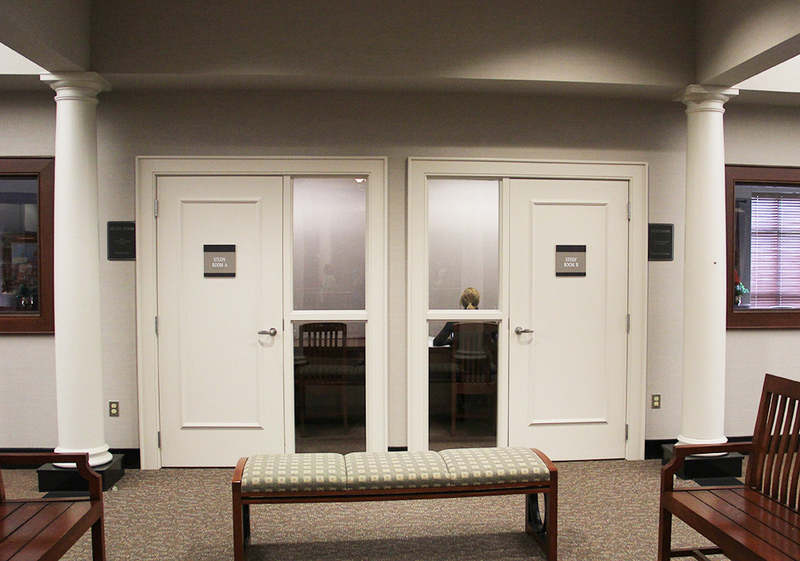 FLPL has two small study rooms located on the second floor in the Reference department. These rooms are available in two hour blocks, and sign up sheets are available at the Reference desk. The rooms may also be reserved ahead of time by contacting the Reference department staff. They are perfect for drowning out distraction to study or focus on a task.